I must confess my additction to superfood shakes. I make or purchase SOME form of shake every day. Some of the combinations have been delicious and some… well not so much. Blackberries (the frozen mixes available at Costo as well) Kale (farmers market fresh) and Spirulina (organic powder available on Amazon). (When serving kids, looks matter and my kids didn’t want any part of this. 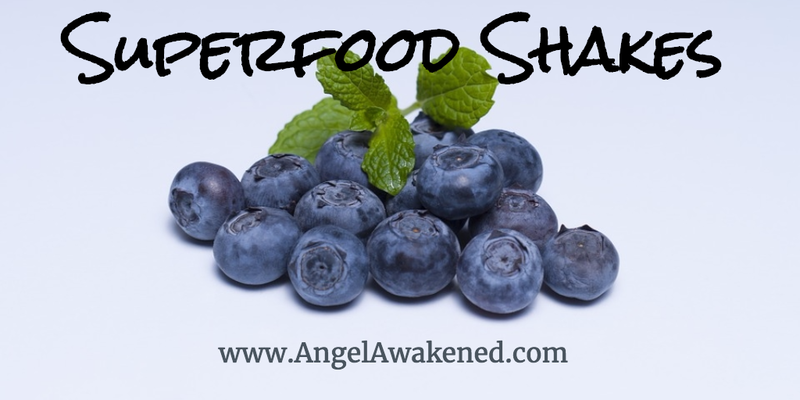 For a shake that is a total kid pleaser check out Trinity’s Purple Passion or the Think Green) The Spirulina has an almost fishy smell, so I use half a tablespoon for an entire blender. The sweetness from the antioxident berry mix, which includes cherries, helped cut the bitterness from the kale (I only used 3 leaves). It was not THE MOST delicious of my shake recipes but it was in no way as bad as it looked!!! Next time I will use blueberries instead of blackberries. So, why do I obsess over these superfood shakes? Because superfoods are AMAZING. Check out Dr. Mercola’s infographic below.